We use the highest quality grass for Sod Installation in Trophy Club, TX. Our process is straight forward and simple. We will examine your premises and review your options with you. Tilling up the top soil. 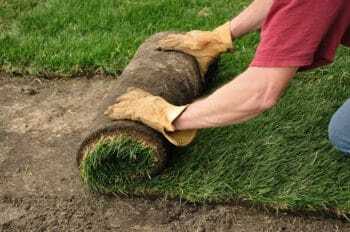 Roll the sod to make sure it has the best contact with the soil. This procedures ensures the roots can take hold and spread successfully, thus provide best results for the sod to grow. Once you have made your choice of grass type, you will be provided with a clear and detailed estimate of the cost of sod installation. We’ll set a time and date and appear promptly to install your sod using skilled methods that ensure success. Zoysia – A well rounded southern grass that thrives in warmer temperatures that can also be drought tolerant. Bermuda – A preferred grass for warmer climates that don’t require very much water. St. Augustine – Great for shaded areas of your lawn, in addition to being drought tolerant. We never have any problem with weed or pest infestation when using this excellent sod. After installation, we double-check all sprinkler heads to be sure they are operating correctly. If any sprinkler heads are damaged, we replace them. 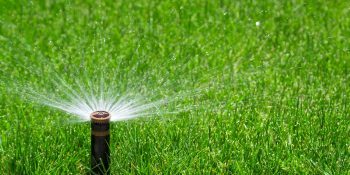 Your expert Ryno Lawn Care sod installer will go over sod watering procedures with you, to help you take care of your new grass. When the work is done. we don’t just ride off into the sunset. Your expert Ryno Lawn Care sod installer will follow up with you after a couple of weeks to find out how your grass is growing. We will answer any questions you may have. If you have questions or concerns just call or e-mail us.